The all new Audi A4 shines out in the top in Upscale Midsize cars. Our review is based on our own analysis of Audi A4 specifications and data available on Audi website. Audi A4 is the most viable alternative to high priced BMW 3 Series. Audi A4 is available in five different trims A4 Saloon, A4 Avant, A4 Allroad Quattro, S4 Saloon and S4 Avant. The fuel economy is worth mentioning because Audi claims that it should range 21 mpg in the city and 31 mpg on the highway. These ratings vary with the change in transmission and trims. A4 is available in Petrol and Diesel with 2.0 TDI engine and 3.0 TDI for high performance. The base model A4 Saloon got everything that you need with 2.0 litre 4 cylinder engine, Audi A4 is not underpowered in anyway. However, Audi A4 is famous for its high quality interior that no other competitor can match. A4 Saloon is loaded with many standard and high tech advanced features, but all the extra perks will sky rocket the price. There is an Automatic Start Stop function for efficient fuel CO2 performance (this feature is only available in 2.0 TDI/2.0 TFSI manual engines). A4 Saloon base trim is loaded with many safety features, which include ESP (It helps in limited slip differential on a front wheel drive), Front and rear fog lights, First aid kit, Front side airbags, Front and rear ISOFIX seats with front passenger airbag deactivation switch, Warning triangle and Headlight range adjustment. A4 Saloon interior is worth mentioning with high quality materials and high tech features, A4 Saloon stands out. Few of the features include Electromechanical parking brake, Micrometallic inlays, Steering column adjustment for rake and reach and Servotronic speed-related power-assisted steering. 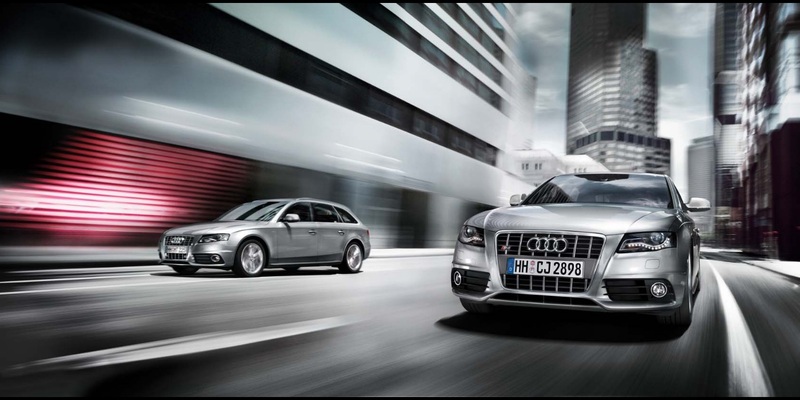 Audi A4 Avant is almost similar to A4 Saloon in features and same specifications offered in Audi A4 Avant. However, the big different is that A4 Avant is a Hatchback with attractive styling. 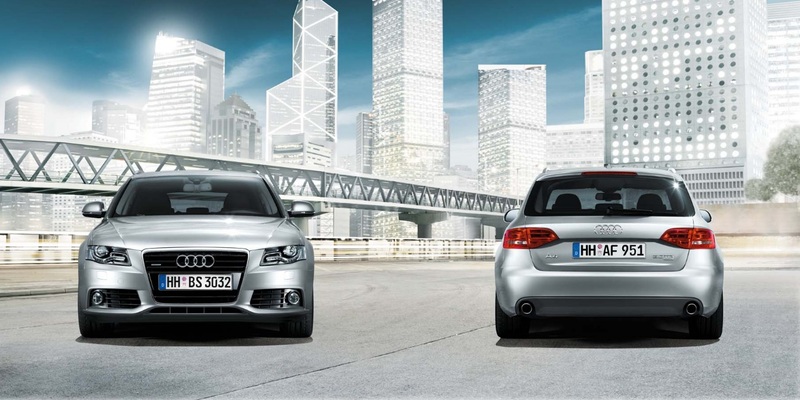 A4 Avant hatchback offers the same powerful performance with all the features. A4 Avant starting price is higher than A4 Saloon. It is for people looking for high performing hatchback usually famous in UK. 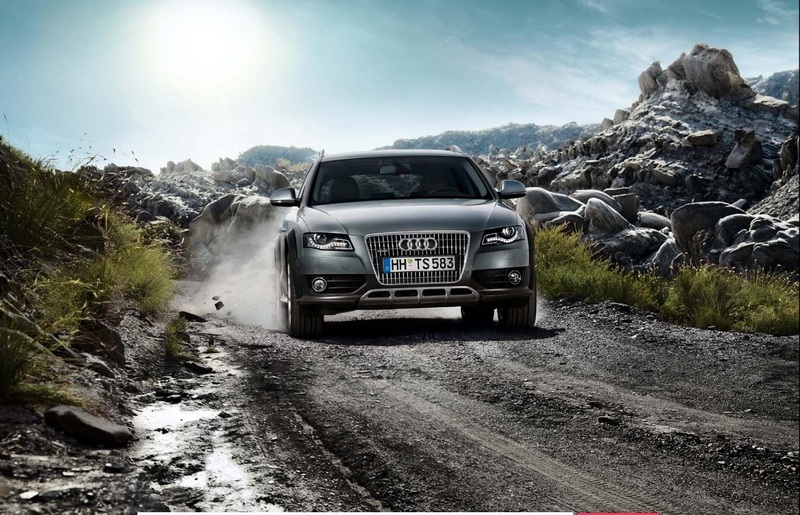 A4 Allroad Quattro is all wheel drive off road all rounder hatchback. Quattro is Audi famous all wheel drive system that is liked by many reviewers. This model is only for people looking for all wheel drive option in a hatchback with reasonable price. A4 Allroad Quatro is also a good daily commuter. Furthermore, A4 Allroad Quattro trim is loaded with more advanced features, but for all the good features you have to pay extra premium price. A4 Allroad Quattro has the enhanced interior features like Deluxe 3-zone climate control, 4-spoke leather multi-function steering wheel, Colour Driver’s Information System and Interior chrome package. Audi S4 Saloon is the supercharged version of A4 with 3.0 TDi Supercharged engine with S tronic transmission. S4 Saloon is a perfect sports sedan for people looking for a thrill in driving. S4 Saloon has all the advanced features available that are not offered as standard in other trims. S4 Avant got the same features as S4 Saloon, but it is a sports hatchback. It is a perfect sports hatchback for people looking for sporty drive and good cornering. S4 Saloon and S4 Avant has special Sports seats with electric adjustment and lumbar support. Audi A4 is designed to offer balanced performance overall not for aggressive performance. However, the supercharged engine option will excite most of the sports lovers. The most unique feature is the new eight speed Triptronic Automatic Transmission, but this is an optional upgrade. Trims without Triptronic upgrade is praised by many test drivers. The 2.0 litre 4 cylinder engine produce 211 horsepower enough to satisfy daily driving routine. Audi is famous for good handling on twisting roads and you cannot expect less from A4. A4 is one of the balanced handlers in the class and perfect for crazy handlers. Audi A4 receives the top ranking in crash tests with five stars in side crash and rollover test and four stars in frontal crash test. A4 is equipped with high end safety features to provide maximum protection for driver and passengers. Audi A4 is one of the reliable cars backed up with Audi four years or 50,000 miles warranty and it also include roadside assistance for the same period of time. There is 12 years warranty against rust. Check your local dealers for exact price and book a test drive to try the amazing Audi A4 2011.